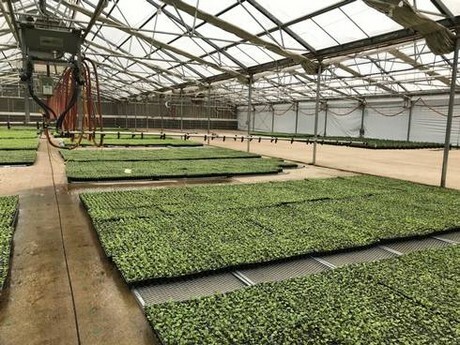 Michigan State University Extension entomology specialist for ornamentals David Smitley has released his “2019 Greenhouse Insect Management” recommendations. These are the recommended products to control thrips, aphids, whiteflies, spider mites, broad and cyclamen mites, fungus gnats, mealybugs and Florida fern caterpillar. MSU Extension plant pathologist Mary Hausbeck has released her new “Greenhouse Disease Management 2019 Season” recommendations. The products are classified as either “A” or “B” team products. The “A” team products provide the best control for the diseases, and “B” team products are those that provide control and are good to include in a spray rotation. In addition, Hausbeck and her colleagues have also released a new guide for disease management specifically for vegetable and herb crops. The new guide provides the following information about each registered product for vegetable transplants and herbs: 1) active ingredient, 2) trade name of the product, 3) FRAC code (numbers based on the mode of action of the active ingredient) and 4) re-entry interval. The disease recommendations are grouped by crop groups: 1) Brassica, 2) Cucurbit, 3) Leafy, 4) Fruiting, and 5) Herbs. Within each crop grouping, the table lists whether it is registered for use for: bacterial blight, downy mildew, leaf spot, powdery mildew, Phytophthora, Rhizoctonia or Sclerotinia.